Carpal tunnel syndrome starts in the wrist…sometimes. As the story goes: inflammation causes irritation on the nerves of the wrist, causing carpal tunnel syndrome symptoms. You can read more about carpal tunnel here in our carpal tunnel guide, and part 2 here. But what if carpal tunnel isn’t just in the wrist? What if, instead of being a problem of the wrist, it was a problem of the median nerve? At various places in the neck, shoulder, arm, and forearm? That is because the nerves of the arm all start their journey by leaving from the the neck. Nerves of the arm and hands start as roots in the neck and shoulder. They come together in branches from the middle and lower parts of the neck. They travel below the shoulder joint, joining together to form the brachial plexus. Depending on which branch of the brachial plexus is irritated or compressed, medicine has several different names of conditions. For example, the median nerve can be irritated in the elbow. In the elbow it causes Pronater Teres syndrome. If it is irritated at the forearm, it is called Anterior Interossseous Syndrome. But no matter where the symptoms are, it is still the same nerve. 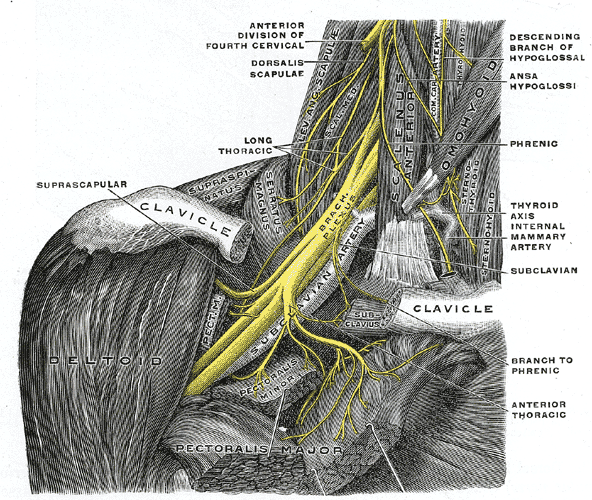 The top parts of the nerve still travels from the neck, below the shoulder, and down the arm. Which means any irritation in the neck is more likely to show up as irritation and symptoms down stream. This theory is called the double crush theory. And while it still needs more research, it can explain why patients who appear to have more than one irritation to the nerves of their arm don’t always respond well to carpal tunnel surgery. If the carpal tunnel symptoms are partially coming from the patient’s neck or shoulder, then surgery on the wrist is not going to solve irritation in the neck or the shoulder. So, how do you know if irritation above your wrist is contributing or even causing your carpal tunnel syndrome. A great choice is to talk to the people that can gently address the problem joint alignment that is responsible for this irritation! 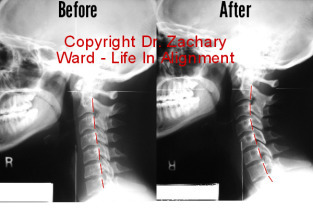 Our Auburn Hills upper cervical chiropractic practice, with its focus on the health of the neck in particular, is a great place to find out if you can help heal yourself from carpal tunnel, with better spinal alignment.